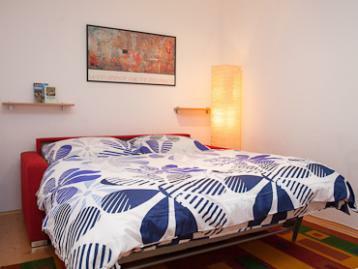 Peace and quiet and a central location are great assets in a city apartment, throw in a shared garden (unusual in the heart of Vienna) and you have the perfect urban abode. It’s nice inside, brimming with functionality and big enough to sleep two very comfortably. Stroll around and you’ll find plenty of supermarkets, good restaurants and trendy bars in the neighbourhood.